Source: Green Tech Company Extreme Energy Solutions offers the Smart Emissions Reducer Technology as an alternative solution in combating the EPA’s efforts to impose new rules that would significantly impact grass roots racing. The technology first introduced to commercial fleets, improved upon, marketed and distributed by individuals involved in dirt track racing makes full circle as the Smart Emissions Reducer is brought back to where Extreme Energy Solutions got its roots, Orange County Fair Speedway and the local racing community. Former Street Stock racer Samuel K. Burlum, now CEO and President of Extreme Energy Solutions Inc, implemented a plan to vet the Smart Emissions Reducer as a legitimate and affordable answer in reducing harmful toxic emissions on gasoline and diesel powered vehicles. Set out on a journey in 2010, Burlum and the Company were able to seek the blessing of the New York City Taxi and Limo Commission in allowing vehicles under the agency’s rulemaking to be retrofitted with the device. Armed with having a CARB Executive Order Number (D-671) and permission to offer the device by the NYC TLC, Extreme Energy Solutions began to offer its product to commercial business fleets, municipal government fleets, and individual vehicle owners whom were interested in lessening their carbon footprint while also wanting to conserve on their need of fossil fuels. In 2012, the Smart Emissions Reducer technology was tested coast to coast by municipal and county government, commercial business fleets, taxi cab fleets, and other interest parties across the nation. The consistency in pilot program test results caught the attention of engine and vehicle manufactures in search of emissions reduction efficiency technology. In 2013, Extreme Energy Solutions entered into relationships with these interested parties from the automotive industry. Simultaneously, Extreme Energy Solutions was bolstering its cache of lab test results, when it enrolled Roush Industries to test the device under controlled conditions, which would yield results up to 65 percent in emissions reductions with the side benefit of fuel economy up to 7.5% in fuel efficiency gains. 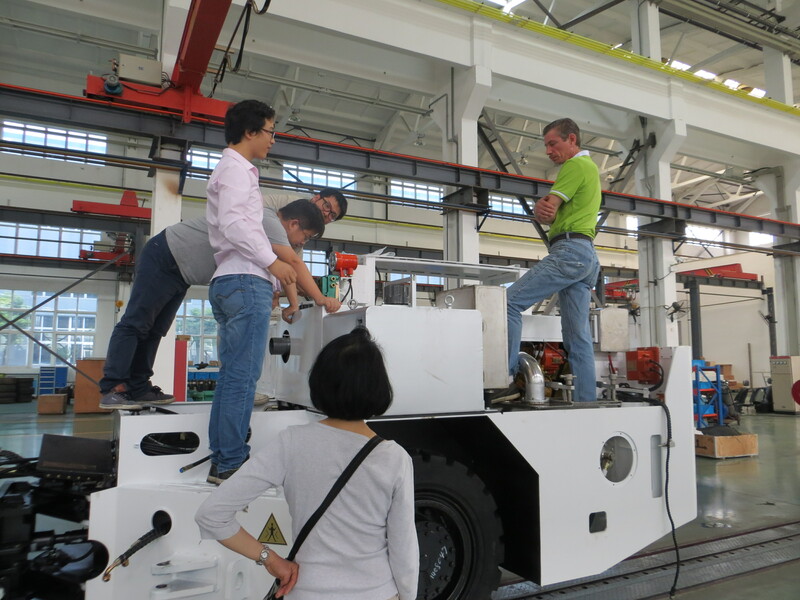 The Changzhou Keshi Group, a specialty vehicle manufacturer of mining equipment vehicles would later test the Smart Emissions Reducer in under strict laboratory conditions, reporting back up to a 5% potential increase in fuel efficiency, on a 5.9 liter Cummings diesel powered engine. Keshi also discovered the device could reach up to a 63% reduction in harmful toxic emissions during these test protocols. A battery of tests would demonstrate the Smart Emissions Reducer would deliver 20% to 50% in consistent emissions reductions, while offering no less than 2% to 3% in minimal fuel economy engine efficiency gains. The testing data was reviewed by Dr. Carley Corrado, with the Department of Physics at the University of California, Santa Cruz, who provided commentary on the Statistical Margin of Error within the test report, evaluating the reduction of emissions and improved fuel efficiency by addition of the SER onto a new Cummings diesel engine. “Conservative projections of the fuel economy savings resulting from addition of the SER estimates an ROI of 1.2 years and a total fuel savings of 10,000 liters (2641 gallons) of fuel over the expected lifespan of the SER,” continued Corrado. As of recent, Free-Col Labs had conducted a series of Mass Spectrometer Test, to verify the validity of the Smart Emissions Reducer device, and with much surprise, the technology performed much beyond the expectation of its original estimated form and functionality. Ed Grimm. Vice President of Infinity Industry Controls and a NASA Certified Calibrations Inspector, vetted the results and the technology in saying that the findings were consistent with previous testing conducted on the device. Burlum and Extreme Energy Solutions wanted to test the device within the racing community, so they reconnected with their old friend, Veteran Driver Tommy Vigh Jr., whom was undecided on his 2016 racing season campaign. Burlum shared his Company’s plan to test the Smart Emissions Reducer on the popular 602 GM Crate Engine, and quickly partnered with Crate Motor Connection in testing the device on the engine dyno while it would be up to Vigh to test the technology in real time conditions on the track. 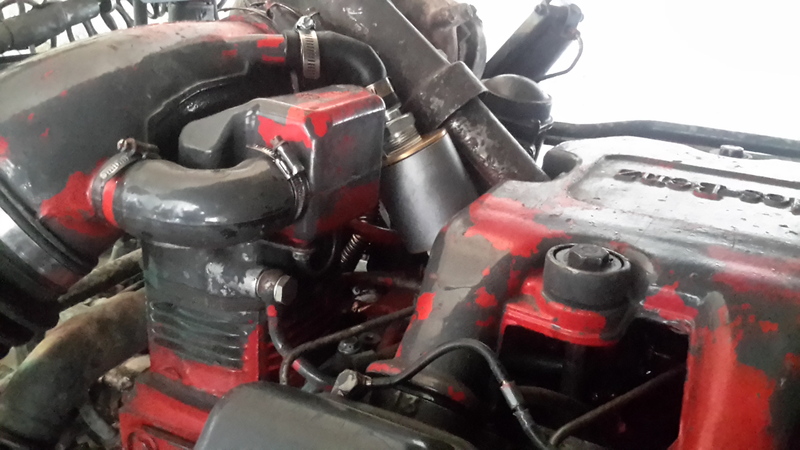 Crate Motor Connection tested the device and found that it had no adverse effects on the 602 GM Crate engine, while it did show some increase to engine/fuel efficiency. Results on the track are too early to tell, however Extreme Energy Solutions and Veteran Tommy Vigh Jr. are committed in finding out all of the effects and benefits the device can provide to his fellow racer, as their alliance extends well into the 2017 racing season. Extreme Energy Solutions had partnered up with schools of thought in testing the device, such as Clarkson University, and the SAE Snowmobile Team, where the University’s entry was outfitted with the Smart Emissions Reducer in 2013 national competition, giving the fuel economy challenge win over to Clarkson. King Abdulla University of Science and Technology (KAUST) had also tested the SER. The device was furthered tested and implemented into practice as a part of the Liberty Motors Entry into the Progressive X Prize Fuel Economy Race in 2010. 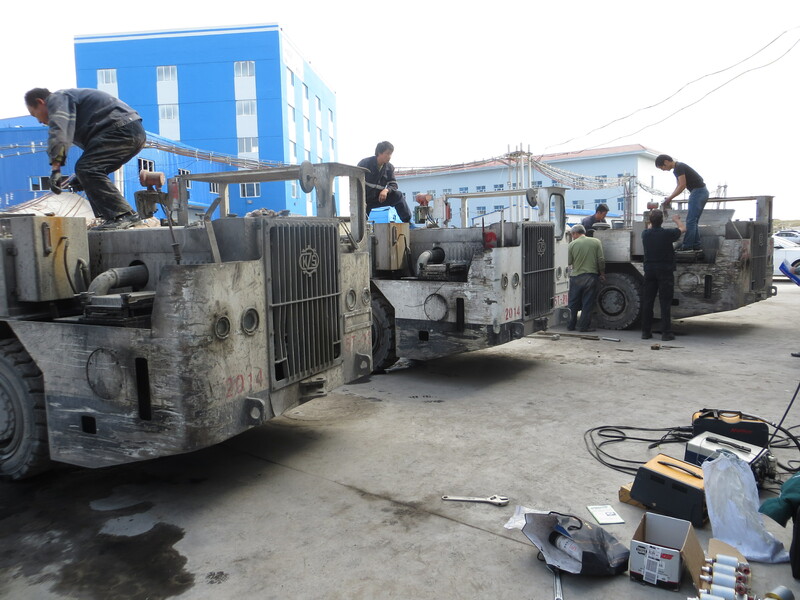 The technology continues to be tested in the field, with projects continuing in Jordan, China, and domestically in the United States. The Smart Emissions Reducer has been introduced to markets in the US, Canada, Jordan, Saudi Arabia, China, Italy, and South Africa. Executives and Tech experts with Extreme Energy Solutions met with Lamborghini in July of 2015; with the intent the vehicle manufacturers would test the device in their lab and on their super cars. Nearing the 2016 racing season brought the usual habits of many local racers; the last minute scramble to prepare their equipment for another race season; the start of the 2016 race season also brought much concern to the racing community when the EPA made the announcement that it was going to ban the conversion of street vehicles for off road racing usage. The EPA argued that these vehicles originally designated for street use, during the conversion process, the vehicles emissions control equipment would be removed from the vehicle, adding to the roles vehicles that would now contribute to omitting harmful toxic vehicle emissions; vehicles that were never intended for racing competition. The EPA continued their argument that it was against law to remove emissions control devices and equipment however hobbyist and racers would push back. With the help of organizations like SEMA, racers were able to put to bed this argument so they can go on to race another day. “The Smart Emissions Reducer has proven itself as a serious consideration and solution to this issue, for it does not negatively effect the performance of the engine, is cost effective, and has the data to uphold the argument about its effectiveness in lowering harmful vehicle emissions,” continued Burlum. Burlum also was quick to point out other larger racing bodies have taken steps toward recognizing the industries contribution to environmental impact. This message is also extended to the #H2O Energy Flow/Extreme Energy Solutions sponsored Dirt Sportsman Modified wheeled by the Rookie Sportsman driver Jimmy Devitt. The message is even more pronounced on the side of Connor Otten’s #11 Dirt Sportsman Modified, seen at competition at both the Orange County Fair Speedway and Accord Speedway. Story originally written by Lauressa Nelson, freelance writer and contributor to Natural Awakenings Magazine. Earth Day is Earth Day is conveniently celebrated in a great month for spring cleaning, which gives us good reason to comb through our cabinets and reevaluate our cleaning supplies. Many of us are interested in nontoxic cleaners to ensure the safety of our families or to shield them and ourselves from respiratory irritants that contribute to allergies and asthma. Some also consider the bigger picture; the impact of the household products that we washdown our drains and flush into our water supply. Yet, we also value effective cleaning ability and affordability, and finding products that fit the bill is often challenging. “The younger generations today have grown up with green culture; it’s engrained in them, part of their being,” explains Samuel Burlum, CEO of Extreme Energy Solutions, makers of Extreme Kleaner, a biodegradable, nontoxic, all-purpose cleaner/degreaser available through Amazon.com and at Ace Hardware and True Value Hardware stores in Madison area. Consumer voices are making a difference. Mintel, a Chicago-based market research company, noted that the green cleaning category quadrupled its sales between 2003 and 2008, from $17.7 million to $64.5 million, and that the market share of eco-friendly cleaners has increased ten-fold since 2003, from 3 percent to more than 30 percent. Meanwhile, sales in the conventional cleaning category declined by 7 percent, when inflation was accounted for, between 2002 and 2007. This economic reality is certainly the driving force behind the development of eco-friendly cleaners by megacorporations and the private-label brands of big-box retailers like Wal-Mart, which introduced its Great Value Naturals line in November 2014. As consumers that manage our households, we are smart to be concerned about the ingredients in the cleaning supplies we use. According to a 2011 article in Mother Jones magazine, nearly 75,000 chemicals have been introduced into consumer products and only about 5 percent of those have been tested for potential side effects and health risks. Women’s Voices for the Earth (WVE), an organization that amplifies women’s voices to eliminate harmful chemicals, reports that cleaning product companies are not required to disclose their ingredients. WVE commissioned an independent laboratory test for toxic chemicals in 20 popular cleaning products from the top five companies in the industry: Clorox, Procter & Gamble, Reckitt Benckiser, SC Johnson and Son, and Sunshine Makers (Simple Green). They found undisclosed chemicals linked to reproductive toxins, carcinogens, hormone disruptors and allergies. WVE offers tips and provides the names of “No Secrets” companies, those that list all the ingredients in their cleaning products, right down to the fragrance. Burlum says that toxic ingredients excluded from Extreme Kleaner’s formulation are often found in other cleaners. The company’s Product Comparison Sheet, which lists those ingredients and their known risks, can be found at Tinyurl.com/ExtremeKleanerCompare. Fortunately, third-party consumer advocacy groups and certification programs help consumers make better choices. The Environmental Protection Agency offers a Design for the Environment stamp of approval, and the nonprofit GreenSeal, in existence since 1989, uses science-based programs to empower consumers to create a more sustainable world and offers an accreditation using international guidelines for environmental labeling programs. NSF International is an independent, accredited consumer protection nonprofit that develops standards and tests and also certifies and audits consumer products and systems to protect and improve global human health and the environment. Rather than grabbing the first household cleaner labeled “green” from the grocery store shelf, consumers should check products for both ingredients and third-party verification of their safety for people, pets and the environment. See the original store here. Extreme Energy Solutions Inc. is located at 150 Main Street, in Ogdensburg, New Jersey. For more information, visit www.ExtremeEnergySolution.net orwww.ExtremeKleaner.com. For more about Sam Burlum, visit www.SamBurlum.com. Click Here to Find a True Value OR ACE Hardware Nearest You That Carries Extreme Kleaner! Extreme Kleaner, a new eco-friendly cleaner, is appearing on the shelves of selected hardware stores, local retailers, and online shopping platforms, making a big splash nationwide! 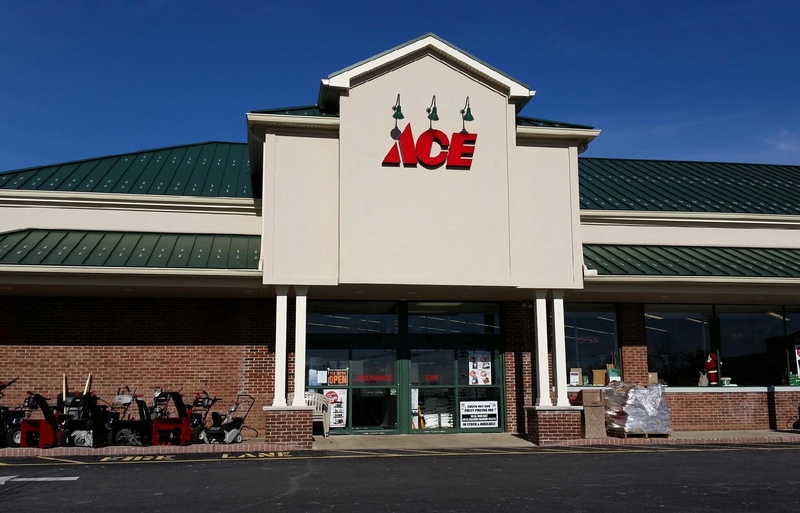 Extreme Kleaner is now available at selected Ace Hardware Stores. Extreme Kleaner is a non-toxic biodegradable multi-purpose cleaner degreaser which launched in July 2012, and has continued to build a brand loyalty fan base. Extreme Kleaner made another leap into the market in 2013 when smaller family owned retailers began to offer the product at their local location. Extreme Energy Solutions had offered a pre-market launch, which provided perks and incentives for early market adopters of Extreme Kleaner early in ’14. Today, Extreme Kleaner is now available in also from Amazon, Keep America, in addition to selected Ace Hardware Stores. 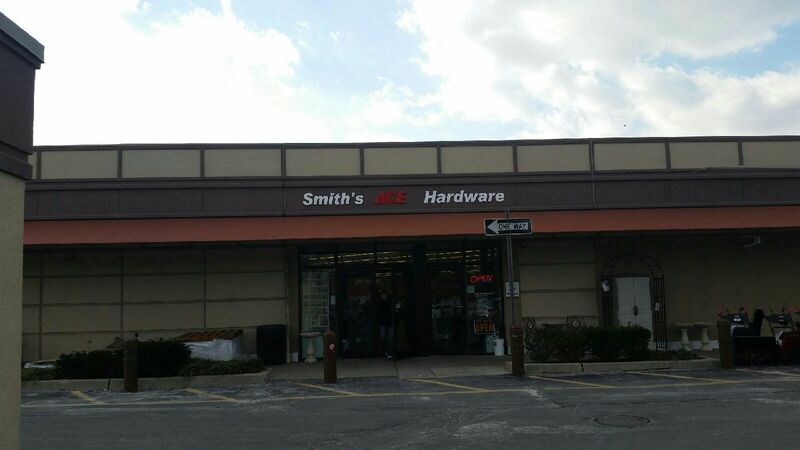 Locations that now carry Extreme Kleaner include True Value Stores in Chatham and Princeton New Jersey. 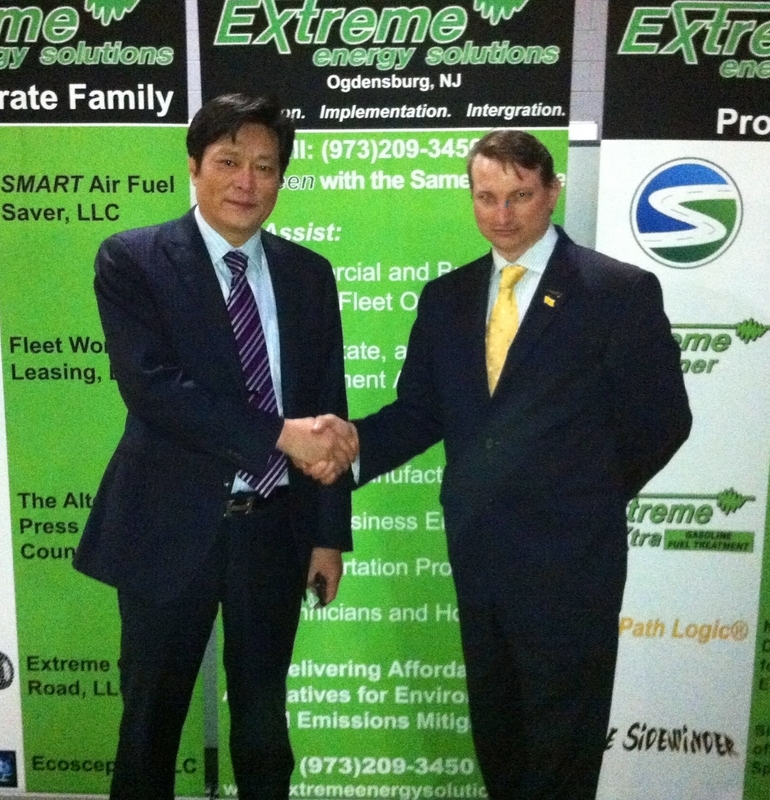 Extreme Energy Solutions, is located in Ogdensburg, NJ and offers other products and services that address public policy initiatives including the Company’s flagship product, the SMART Emissions Reducer. Extreme was founded in 2008 and began as a third party research and development consulting service firm, later transitioning into a developer, manufacturer, and distributor of other products that are “green” related. Extreme Energy Solutions Inc., A New Jersey Based Environmental Firm Begins Research With Several Chinese Engine And Vehicle Manufacturers To Help Address Their Air Pollution Concerns. Various Chinese auto manufacturers show serious interest in a new emissions technology offered by Extreme Energy Solutions, a New Jersey based technology company. Extreme’s flagship product, the Smart Emissions Reducer is a relatively new emissions reduction and combustion enhancing technology that is gaining popularity quickly. It has been proven in various reputable laboratories and testing facilities such as Roush Industries, Nova Analytical Systems, Inc., and the Changzhou Keshi Group to reduce emissions substantially and even provide a fuel economy increase as a beneficial side effect. The Changzhou Keshi Group, a manufacturer of specialty vehicles for the mining industry joined the ranks of some of their industry colleagues including the BAIC Motor Corporation, FAW Jiefang Quingdao Automobile Company and the Weichai Power Company in issuing Letters of Interest/Letters of Intent to Extreme Energy Solutions Inc. Chinas severe pollution concerns are calling for implementation of new emissions reduction technology such as Smart Emissions Reducer (SER). This rising new green technology will be put to the test in some of the harshest air pollution conditions in the world. With outdoor visibility very low, and many people even wearing masks in public due to air pollution, China is the perfect place to implement such technology. The applications of the SER are virtually endless. For all internal combustion engines of any fuel type, the SER can help improve the combustion process and reduce the amount of smog and greenhouse gasses being released into populated areas. With government policies aimed to address air pollution, specifically in the transportation sector, engine and vehicle manufactures are in a dire need of a solution to meet new regulatory benchmarks. To meet this demand, representatives from these Chinese corporations searched far and wide for solutions, only to find themselves in the small town of Ogdensburg, New Jersey. Extreme Energy Solutions, a manufacturer, distributor, and servicer of emissions reduction technology welcomed the delegates with an eagerness to help them solve their pollution concerns. 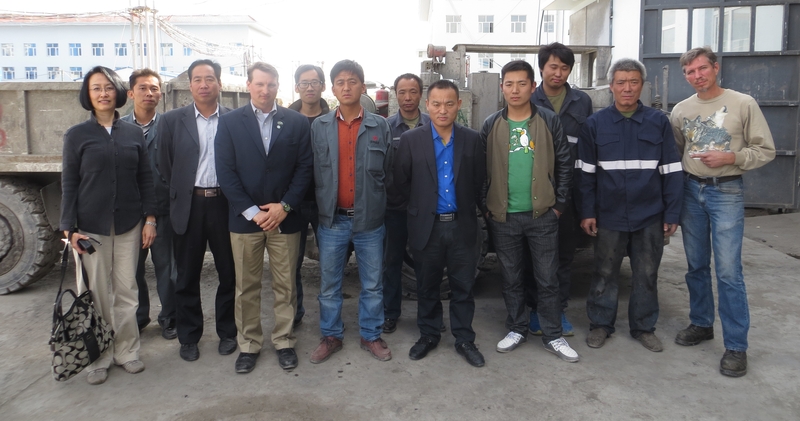 The first to meet with Samuel K. Burlum, CEO/President of Extreme Energy Solutions, and his team was the Weichai Power Company. 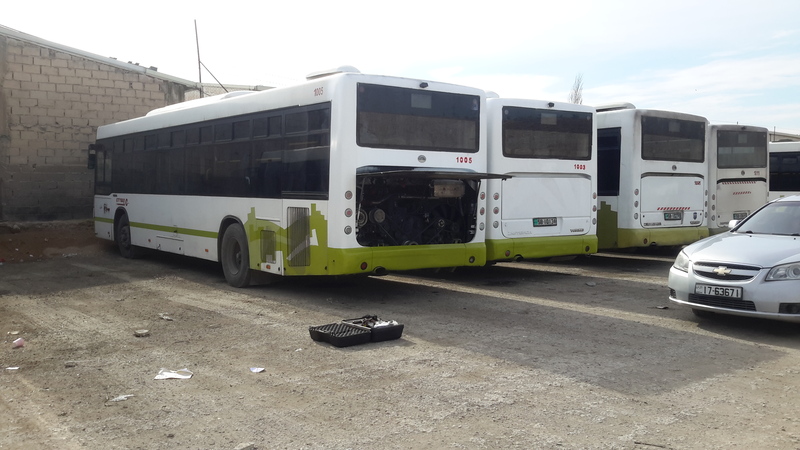 Weichai is a publicly traded engine manufacturer of heavy duty diesel power plants that also produces vehicle models such as buses, semi trucks, and service trucks. Weichai visited the New Jersey company in early 2013, and decided to explore further possibilities of partnering with the up and coming green technology firm. “We were impressed with the Smart Emissions Reducer, and the technology behind it,” noted Tim Chang, Deputy Director of Engine Research and Development, If the products test meets our expectations, we would like to discuss with you a business partnership that would be mutually beneficial to both of us. 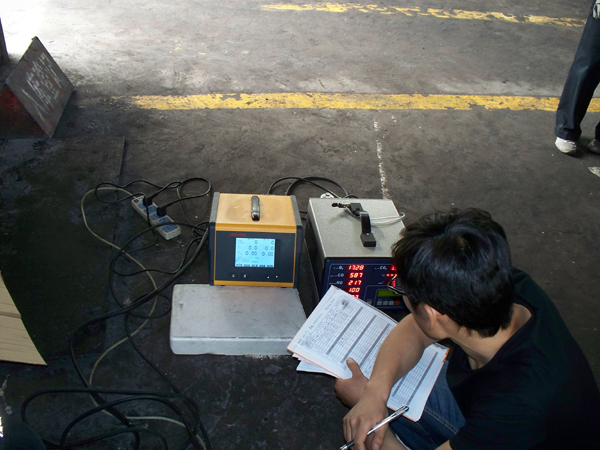 Currently Weichai and Extreme Energy Solutions are engaged in on going testing to determine the validity of the SER in Weichais applications. The next manufacturer to investigate the Smart Emissions Reducer was the Keshi Group, a mining industry equipment manufacturer that is located in Changzhou, Jiangsu Provence. The Keshi Group initially partnered with Extreme in November 2013 to test the validity of SER. Mr. Jiang Hanjun, CEO and President of Changzhou Keshi Group, had an opportunity to travel to Ogdensburg, New Jersey with his team to investigate this solution that lowers emissions while increasing fuel efficiency. Keshi is interested in applying this new clean technology to their explosion proof underground mining vehicles. 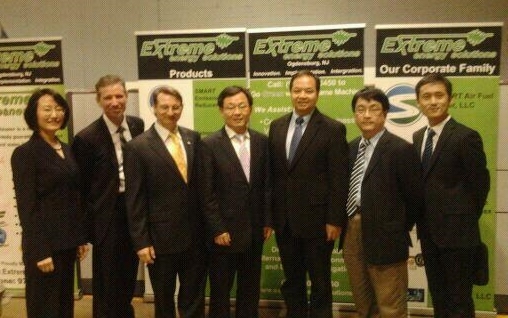 After meeting with Extreme Energy Solutions’ CEO and President, Samuel Burlum, and the rest of the EES team, Mr. Jiang committed to partnering with Extreme in testing their flagship product, the Smart Emissions Reducer. 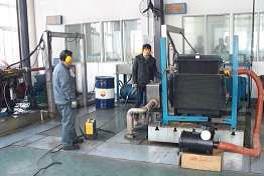 with your company,” commented Mr. Jiang. The Keshi Group recently concluded testing of the Smart Emissions Reducer this past summer of 2014. Testing results concluded that the Smart Emissions Reducer performed as advertised under controlled laboratory conditions. Preliminary tests would show the SER could provide up to a 5% fuel economy increase on a brand new 5.9 liter Cummings diesel powered engine, and a significant reduction in emissions, more specifically a reduction in particulate matter (PM) of up to 49% and carbon monoxide (CO) of up to 63%. 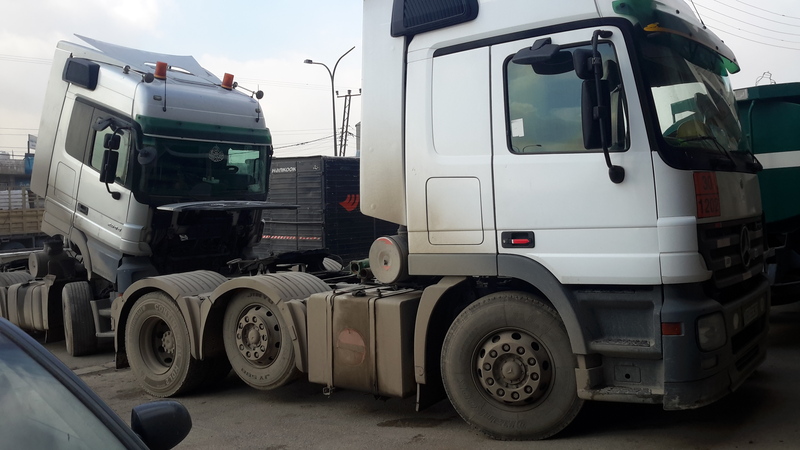 After further testing conducted by Keshi, the Smart Emissions Reducer proved to deliver consistent emissions reductions between 20% to 50% in all phases of the engines operations, while also still providing a fuel economy benefit of no lower than 2% and 3%. The Keshi Groups testing data was reviewed by Dr. Carley Corrado, Ph.D., with the Department of Physics at the University of California, Santa Cruz. 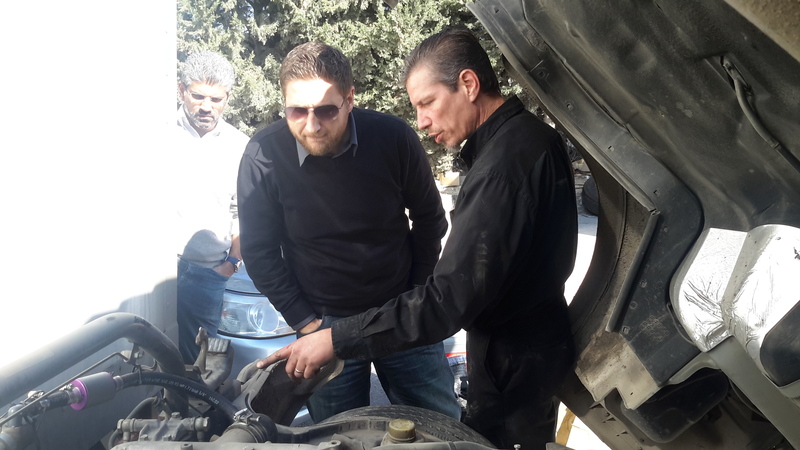 Dr. Corrado provided commentary on the Statistical Margin of Error within the test report, evaluating the reduction of emissions and improved fuel efficiency by adding the Smart Emissions Reducer onto the new Cummings diesel engine. “Conservative projections of the fuel economy savings resulting from the addition of the SER estimates an ROI of 1.2 years and a total of 10,000 liters (2641 gallons) of fuel over the expected lifespan of the SER,” continued Corrado. Reducer evaluation program, and agreed to purchase a small rolling production of the SER devices and have them installed in the field. 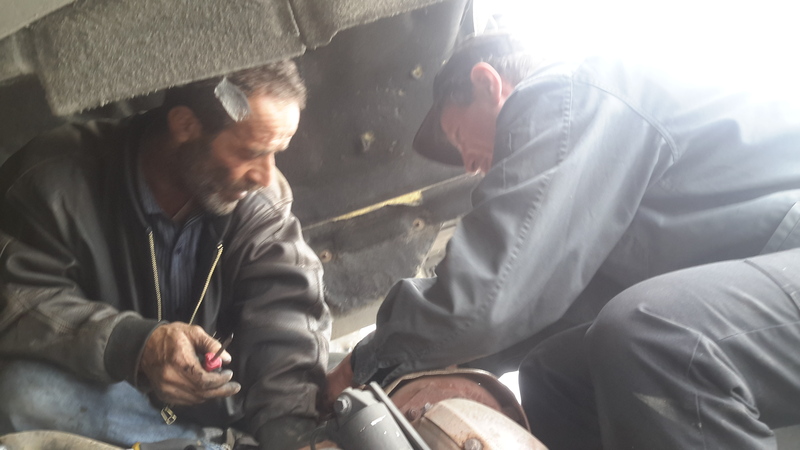 Keshi and EES technicians worked side by side to install the Smart Emissions Reducers over a two day period at a mine in Inner Mongolia on newly deployed Keshi vehicles. BAIC and FAW are still in talks with Extreme and also look to move forward with the evaluation process. Both BAIC and FAW have invited Extreme back to China to get their cooperative Smart Emissions Reducer programs underway. The Smart Emissions Reducer, (initially branded as the Intercharger) was first introduced by Extreme Energy Solutions in 2010 to the taxi and delivery vehicle market. It was soon approved for use by the New York City Taxi and Limo Commission. Then it was later tested by Roush Industries on gasoline powered vehicles. Tests in their lab demonstrated the SER could deliver up to a 7.5% increase in fuel efficiency and up to 65% reduction in emissions.